Made from U section extruded aluminium with cast head and foot. 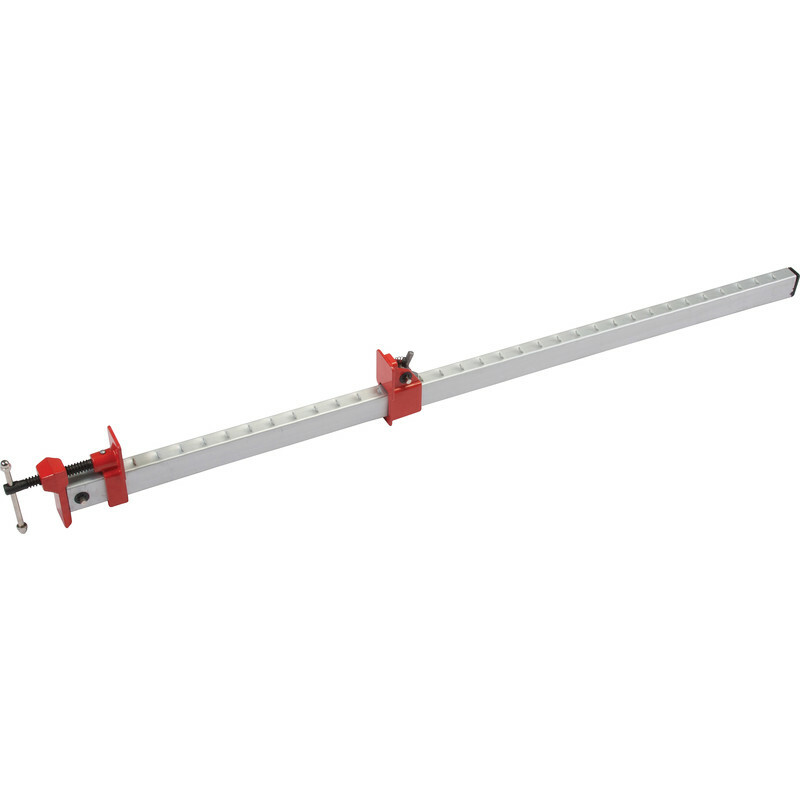 Aluminium Sash Clamp 900mm is rated 4.1 out of 5 by 35. Rated 5 out of 5 by HolyJoeMuttley from Better than expected I read the reviews before purchasing two of these. I can't understand why some thought they bent easily; unless they're putting them under immense pressure. These are great for a diy'er like myself. Very happy with them and they saved me a lot of fiddling about. Rated 1 out of 5 by Whitey 1 from Flimsy rubbish Almost entirely useless weak flimsy excuse for a clamp. Don't waste your time/moneywhitey on these however cheap they are. Rated 5 out of 5 by leviles from Tidy kit Lightweight ,and does the job. Rated 4 out of 5 by Chris HM from So far, so good. I bought these clamps because I needed them to make a few doors and so far, they have been good. The price is excellent, but as they are hollow, they could do with a few changes to improve them and make them less flexible - check out Paul sellers on YouTube for these easy improvements. Once I get the chance to make these changes, I’m sure they will last for many years to come. Recommmended.